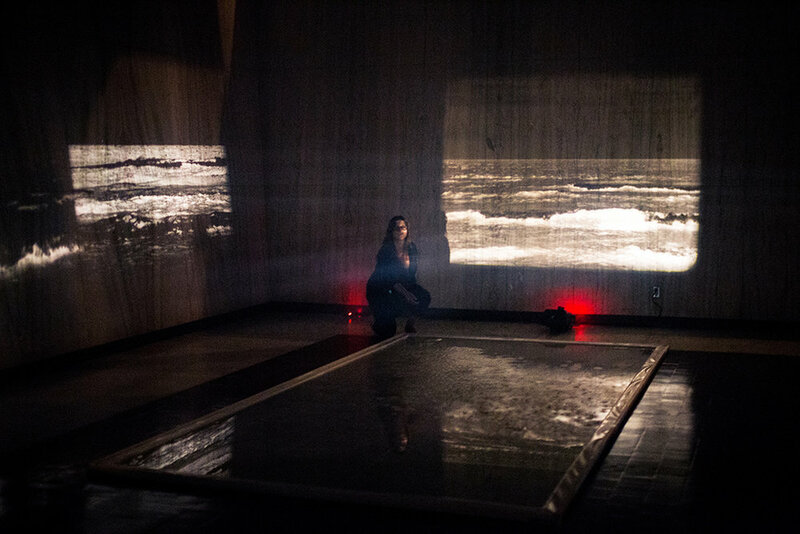 Installation involves three 16mm film projectors with loopers and a reflecting pool of water on the floor. A 2 minutes vocal performance every 30 minutes was presented with the original presentation. A three channel 16mm film loop installation reflecting on reflection. Salt, water, preservation, and distillation explore the liminal space where sea meets sky. When the horizon is hidden in haze, distance collapses and expands. 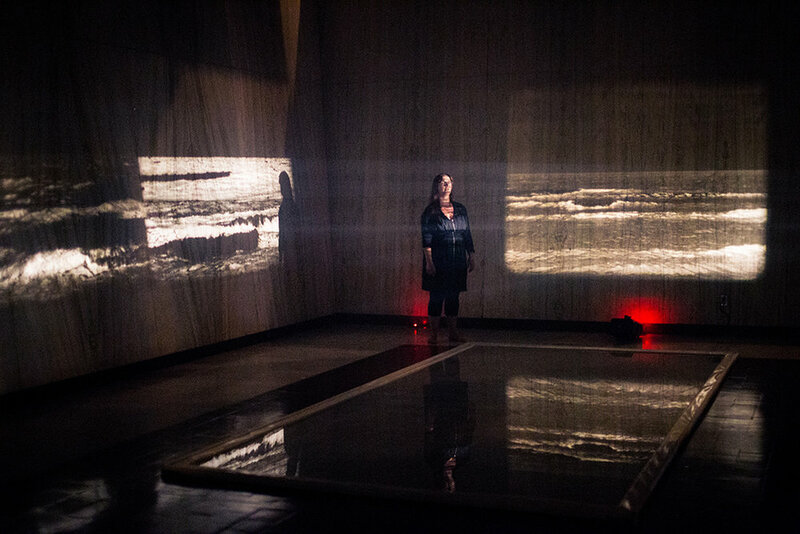 Salt, water, and reflection become key physical elements in the installation of this work. 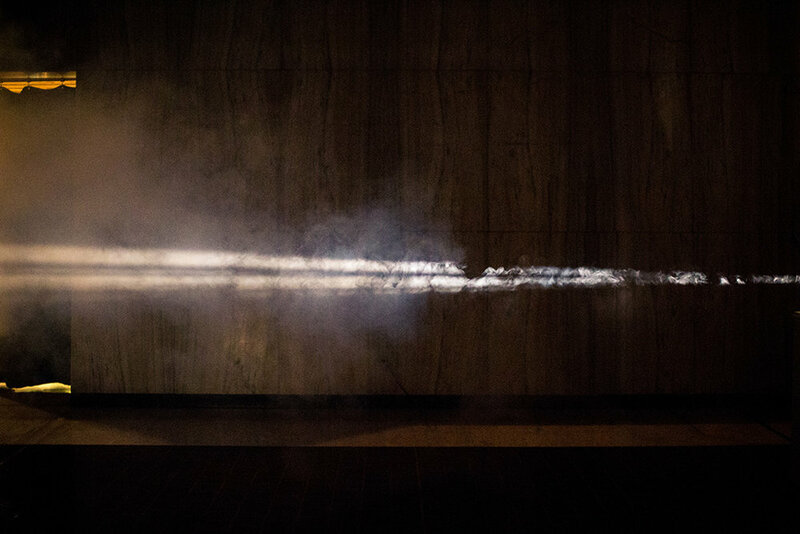 This work is installed at Memorial Hall at the Confederation Centre for the Arts, and involves three 16mm film projectors with loopers, an 8 x 16 foot custom built pool of water for reflecting the images, and two smoke machines. A 60 second vocal performance takes place every 10 minutes. All film loops were processed in salt water taken from the ocean where they were filmed. 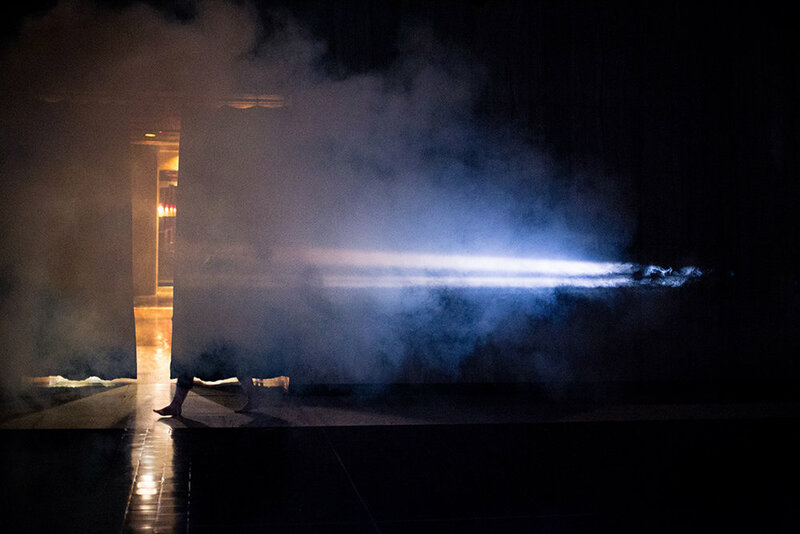 This work was created during a residency at the Island Media Arts Cooperative. Equipment was graciously provided by Struts Gallery & Faucet Media Arts Centre, the Atlantic Filmmakers Cooperative, and the Liason of Inependent Filmmakers of Toronto. Darkrooms were provided by Holland College. A few months later the work evolved into a second version to be prested at FICFA's VAM. 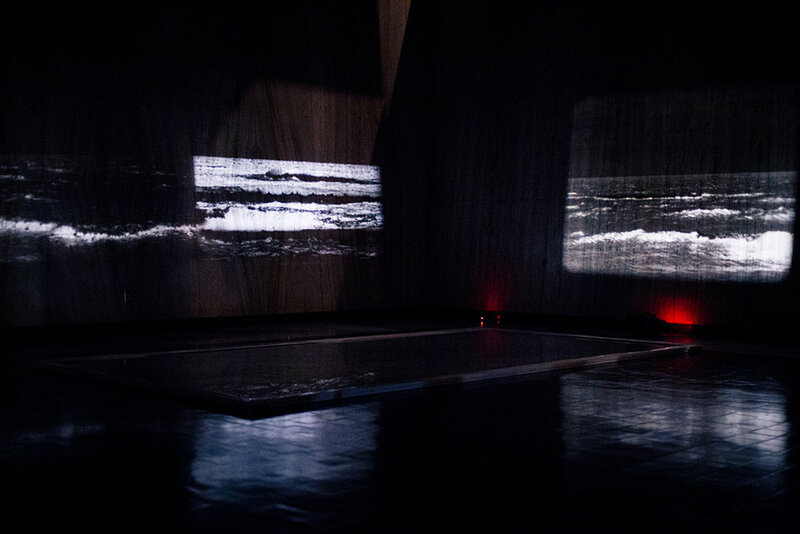 The second version is a 20 minute expanded cinema performance for three 16mm film projectors (no reflecting pool) and a mixed music soundtrack for sponge and ocean waves composed by Martin Marier. Here is the description of the perofmrance for the FICFA VAM. L’artiste et cinéaste Amanda Dawn Christie poursuivra avec OÙ L’OCÉAN RENCONTRE L’AIR, œuvre pour laquelle Amanda a filmé les rivages et préparé un film 16 mm sur lequel elle a intervenu avec, entre autre, de l’eau salée. La soirée aura lieu le samedi 12 novembre à la salle Bernard-LeBlanc du Centre culturel Aberdeen à 21h.